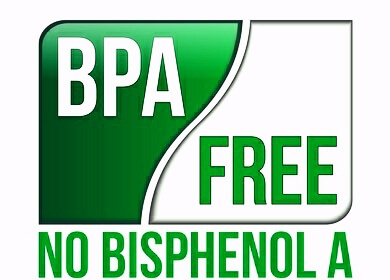 More and more evidence is mounting against bisphenol A (BPA), the ubiquitous chemical found in many everyday plastic products. New studies from France and China have linked BPA exposure to damaged tooth enamel and also to low testosterone levels in men. The leaders of the French study, Ariane Berdal and Sylvie Babajko, studied the effects of low daily doses of BPA on the teeth of laboratory rats. Results showed tooth enamel effacement in the rats characteristic of a childhood tooth enamel condition called Molar Incisor Hypomineralisation (MIH). MIH affects about 18 percent of children between the ages of 6 and 8. Children with MIH are highly prone to cavities and are very sensitive to dental pain. Connections between this condition and the results studied in the rats’ teeth are even stronger due to the fact that the age at which children develop their first molars and permanent incisors, the teeth affected by MIH, is the age at which studies show that humans are most sensitive to BPA. A new study performed by Chinese researchers found that men who had high exposure rates to BPA, from working in a chemical plant for six or more months, had lower testosterone levels than a control group of factory workers from a tap water factory. Several older studies of Chinese factory workers have linked significant BPA exposure to sexual dysfunction in men, and lower sperm counts. This research adds to a large stockpile of studies which tell us the same thing: BPA has no business in the human body, especially the developing human body. One recent study linked BPA exposure to childhood asthma. A wide variety of animal studies have shown that BPA can cause hormonal disturbances, and has notable detrimental outcomes on the metabolism, healthy development and reproductive systems. If it is unsafe for rats, what makes the FDA so sure it is safe for humans? The really scary thing is that BPA is in such a large variety of materials. Even if BPA-lined soda cans and food containers are avoided, and we are careful to purchase the ‘BPA-Free’ infant bottles, this chemical compound still exists in receipt paper, plastic utensils and food storage containers. Additionally, the label ‘BPA-Free’ is misleading, as it gives the impression that the labeled plastic is safe. However, studies have found that BPA is being replaced with BPS (bisphenol S) in these plastics, a chemical compound nearly identical to the one it is substituting. The bottom line is: we don’t know the extent of the damage that our dependence on plastics can cause. In our modern world, it very difficult to avoid industrial plastics, however, considering the potential harm that BPA (and substances like it) may cause, it is the safer choice to use alternative options (i.e. glass) whenever possible. Next articleCan Pre-Workout Stretching Cause Injuries? Hey Buddy!, I found this information for you: "New Studies Link BPA to Dental Problems and Low Testosterone". Here is the website link: https://www.thealternativedaily.com/new-studies-link-bpa-to-dental-problems-and-low-testosterone/. Thank you.